Erected in loving memory of our father and mother. John Forbes died at Occumster 11th February 1863 aged 34. 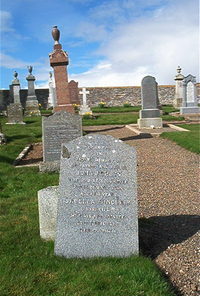 Wife Isabella Sinclair died at Lybster 27th April 1916 aged 85.